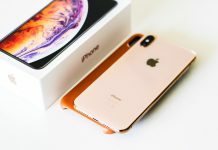 Lots of people like to be an owner of a mighty Apple iPhone and the owners also like to show up their iPhone in certain occasions. 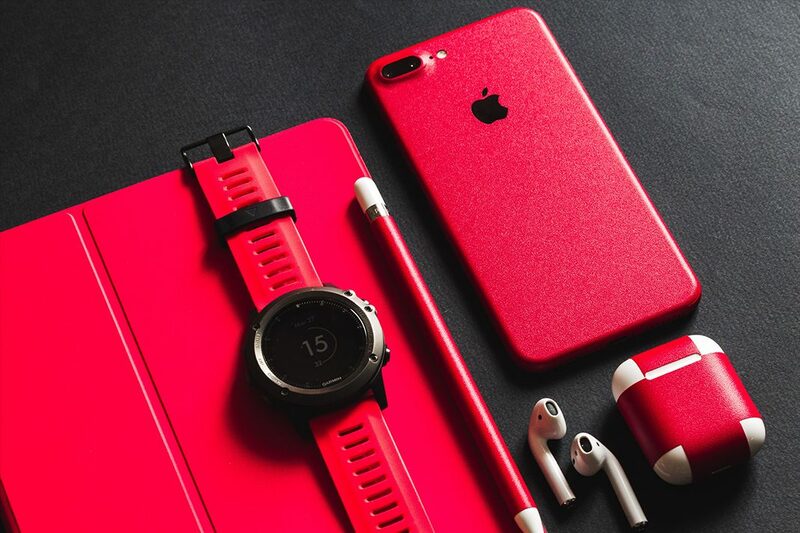 Choosing a color preference is the best way to do it and today, from the BestCaseEver.com we are going to talk about the RED colored iphone 8 plus accessories. 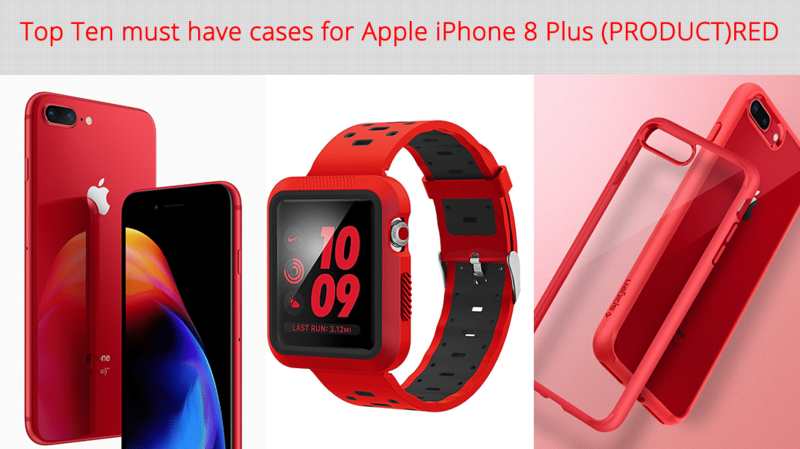 Previously we talk about the Top 10 must have cases for Apple iPhone 8 Plus (PRODUCT)RED you can check out that case collection list too. Feel free to look through this list and choose what you want. The color red is maybe an ache to eyes but the fans never let it go. I will not list down any pros and cons because I’m writing about different items for different purposes. This ZAGG InvisibleShield Glass is a tempered glass shield that protects your phone from drops, scratches and low level impacts. You will not have any problem with screen bubbles and fingerprints when using this screen protector. This screen protector is made of high quality polycarbonate and it will help you to get a clearer UHD vision through it. 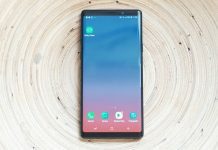 If anything happens to your screen protector you only have to go back to the ZAGG website, then search the screen protector you previously registered and order a new copy. Then ZAGG will send you a brand new screen protector but you will have to send them back the broken protector on your own (you’ll only have to spend the shipping cost). The customer service is actually brilliant and the protection that the glass provides is significantly higher. For those who has a car and an iPhone this maybe the best car charger in color red that anyone will be able to afford so far. This car charger does not fit in to shorter cigarette lighters in car but support majority of them. The dual USB ports also allow you to charge two devices at the same time at maximum speed and you can not only charge iPhones in this but also Samsung Galaxy S9/ S9+/ S8/ S8+/ S7, iPad, android tablets, power banks, video games controllers etc. Since this car charger is made of Aluminum Alloy, the charger will always look like a brand new one and won’t heat up like other plastic chargers. The installation and the removal of the charger will not be a problem too. The blue LED lights situated within the USB ports adds more beauty to the charger (the blue and red combination is always good – the light will stay on even if you stop the car). The charger’s finishing is absolutely good and it feels small and easy to use. Also you will get a one-year money back warranty from the manufacturer, Ainope. This home button sticker provides good shield protection for your home button from dust, sweat and spot. Even with the screen protectors on, this home button sticker will support your iPhone’s fingerprint identification system with no cost. Buy ordering this red home button sticker, you will receive 4 red rings and a blue cleaning cloth (four red buttons with a silver ring, black ring, rose gold ring and red ring). I don’t know if this sticker suit for a completely red covered smartphone, I suggest you to use this on a black covered phone because it matches great (choice is yours though). The rings are neatly done and it helps you to center your finger properly when using the fingerprint identification facility. With two year trusted warranty (45-days money back) this 5ft long BESKIN charger cord is superior in durability and finishing because of that Nylon fiber cloth wrapped around it. When you are ordering this, surprisingly you will get three of these cords in single package for after use or using in three different locations. 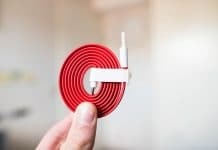 If there is a lot of gap between your charging point and where you keep your phone, this may be the best red cord that you may ever find on anywhere. The bright red color will always highlight this charger cord and you will not have any problem with recognizing yours from others. The cord will greatly compatible with iPhone 7/ iPhone 7 plus/ iPhone 6s plus /6s/ 6 plus /6 iPhone 5s / 5c / 5 / SE/ iPad air/air 2 iPad pro/iPad mini/mini 2/mini 3/mini 4/iPod Nano (7th generation)/iPod touch (5th generation). Don’t worry about suction cups, adhesives, mounting glues for more because this car phone holder can be easily mounted in the vehicle’s air vent (doesn’t block the air vent since the phone holder is small – you must make sure that your car vent louver is strong and can hold your phone). When you put your phone on the holder, it will automatically lock on and you don’t have to care about any quick turns and speed bumps and also the phone will quickly come to your hand when pulling it again. When using this holder, you can rotate it 360 degrees (best for GPS aided driving) and it doesn’t cover top and bottom due to the possible charging ports and also it doesn’t cover up your phone’s speaker. The holder is not supportive with thick cases (definitely not Otterbox cases – also no phone rings and pop sockets). The black silicon padding in those three arms of the holder provides much stable grip when placing the phone in it. This will hold any device that is 4 inches to 6 inches and you can place your GPS device too. This limited red portable charger specially made for iPhone 7 Red and holds up for 12000mAh of power and it will almost fully charge your iPhone 6s about 4.5 times and 1.5 times for iPad Mini. With a body that is made of Aluminum Alloy (surface is same size as iPhone 6s Plus), the outer design is anti-fingerprint. The power bank comes with an Apple 8-Pin cable as the input cable and it provides two USB ports for output activities (fast charging) (also a 2 year limited warranty). As any other normal power banks, this has a 4 LED lights for indicate its power status (the power bank will take at least 6-7 hours to fully charge from a 2A adapter). I must say that Poweradd truly concerns about their product and their customers, if anything happened to the device they will send you a replacement after informing them and all you have to do is send the broken device back. Compatible with all Apple Watch Series 3 / Series 2 / Series 1 / Edition / Nike+ / Hermes and any other 42mm Apple Watch this watch band provides a smooth surface and a ultra-durable protection and a comfortable silicon made feeling too (will not support screen protectors). The band will not be affected by water or sweat and if the band is dirty you can wash it off with non-bleach cleaners and you can even use the washing machine to do that (talking about the band here, not the watch). You must remember that this band is not for energetic works like cliff jumping kind. It is really stretchy and the installation and the removal is never being this much easy. The customer service of EloBeth with 18-month warranty is also great and they will quickly resolve any of your problems only if it is not caused by energetic activities I mentioned above. This Red Apple AirPod Skins and Charging case cover is only made for iPhone users with a real red color preference. This simple and beautiful skin and cover fits very well into the devices and it makes much softer feel and a tighter grip after putting those and it will significantly prevent your charging case and AirPods from any kind of scratch damages. Even after the case is on all buttons, ports and sensors will be fully accessible and fully functional. 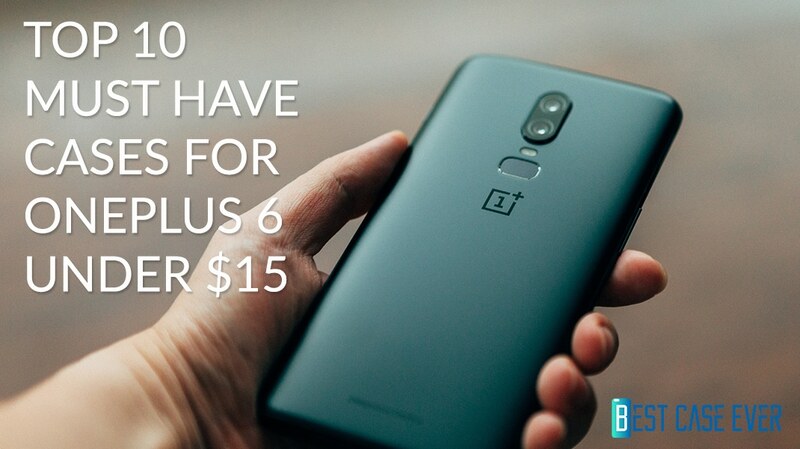 The manufacturer will provide amazing Lifetime money back warranty no matter what. When using this case, you don’t have to put your phone in the exact charging area. Due to the built-in three coil charging area you can just put your phone anywhere on the charging pad. This is compatible with all Qi enabled devices (not compatible with Apple Watch) and prevents your phone from overheating, overvoltage, circuit shorts and surges. Additional to the Charging pad, you will also get a 1.2M Micro USB Charging Cable, a User Manual and an 18-Month warranty. Any phone cases thicker than 4mm is required to remove and all Otterbox cases must be removed (unless it will effect the charging process). Also there is a little blue LED indicator in the upper left corner to indicate the charging status (since it is dim enough in light, it is not an annoying – too much bright light at all). From a world renowned brand name, this red wireless headphone gives the best audio quality (Apple W1 chip) with Dual-Mode Adaptive Noise Canceling (ANC) technology and soft ear cups fits very well to your ears. With the ANC is on, you will be able to use the headphones continuously for 22 hours (actually nobody does that) and with the ANC on low power mode will last about 40 hours straight – the 100% charging duration is about 12 hours but Fast Fuel tech allows you to enjoy 3 hours’ music by 10 minutes charging. Headphone come along with a 3.5mm RemoteTalk cable, a USB 2.0 charging cable, a hard shell carrying case, quick start guide, and warranty card. Also supports Bluetooth devices in 30ft range. Great for Electronic Dance Music (EDM). Now, I think you know which item fits you well. When choosing a color preference just don’t go along with the same color. Try mixing things up for a moment, like red with light blue or red with white. (only a suggestion though). I hope you found this article helpful :).